Rupert Murdoch’s proposed takeover of Sky has been kicked into the long grass after the Culture Secretary opted for a referral to the Competition and Markets Authority. 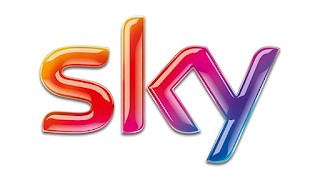 The referral will add a six month delay in Murdoch's hopes of taking full control of the part of Sky his company 21st Century Fox doesn't already own. The deal is worth £11.7bn. Culture Secretary Karen Bradley told parliament she was minded to refer the deal to the competition regulator on the grounds of media plurality and of commitment to broadcasting standards. Both Ofcom and the Department for Culture, Media and Sport have already spent lengthy amounts of time analysing the merits of the deal, but it's believed that political pressures are the main reason for the delaying tactic to avoid having to make a final decision. Opponents of the proposed deal say the way 21st Century Fox runs Fox News shows the company and owner Rupert Murdoch are not fit and proper entities to control a large proportion of the UK's news media. Murdoch controlled subsidiary company News UK already controls a number of newspapers and radio stations, including The Sun and TalkSPORT. "We are disappointed by this further delay and that the Secretary of State is now minded to refer the proposed acquisition to the CMA in relation to broadcasting standards despite Ofcom, as the independent broadcast regulator, maintaining its advice that there are not sufficient concerns to justify such a reference. Nevertheless we will continue to engage with the process as the Secretary of State reaches her final decision."